Ali graduated from the University of Tasmania with a combined degree of Bachelor of Science and Bachelor of Laws with Honours in Law. Ali worked for a period in the Federal Government, with the Australian Taxation Office and the Department of Human Services (Child Support), and then as a Court Clerk in the Magistrates Court of Tasmania to the Chief Magistrate. During her time as a Court Clerk, Ali gained an excellent understanding of the procedures of the Magistrates Court, particularly in Criminal Law including the therapeutic courts, and Child Protection matters. Ali practices primarily in Family Law, Child Protection, and Criminal Law. Ali can provide you with advice in any of these areas and she can appear on your behalf in Court, and at mediations and conferences. Ali is able to see you at our Hobart or Glenorchy Office. 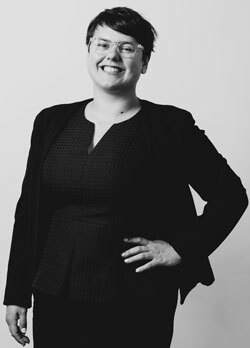 Ali is the current Social Media and Marketing Officer of the Southern Young Lawyers Committee and she volunteers with the Hobart Community Legal Service.